My Latest Training… Functional Medicine, whats that all about? 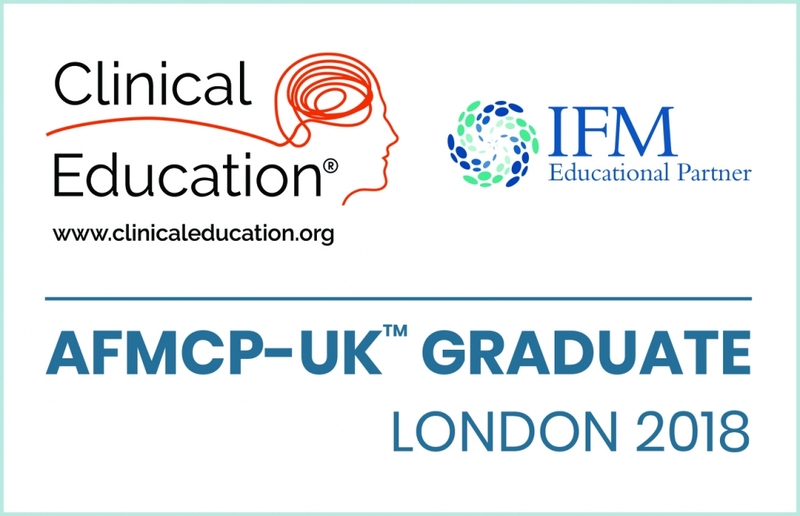 The Applying Functional Medicine in Clinical Practice® (AFMCP™-UK ) programme, which took place in London, in October 2018 was designed to focus on the following challenges. “Because of its focus on acute care, the current medical model fails to confront both the causes of and solutions for the chronic disease epidemic, and must be replaced with a model of comprehensive care and prevention that is systems-based, integrative, patient-centred, and much more effective”. After a busy summer in the UK, running retreats and events and then returning to Southern Spain to offer personalised nutrition talks and consultations. I then went back to the UK for this fantastic event on functional medicine. This has inspired me to further develop my knowledge and network and refine my offerings to a new level of integrated wellbeing expertise. Functional Medicine is an individualised systems approach to identifying the root cause of disease. This means the method looks at each specific person on an individual basis – treating them not the ‘disease’. I not only look at the symptoms presented but also take a detailed health history, from birth! Including lifestyle factors, such as movement and sleep, as well as discussing both parental health and any genetic factors. It’s this ‘bigger picture’ that helps me to understand how these factors, in combination, will have contributed to the persons’ illness. Using all this information, we work together with the patient, in a way they can understand and contribute to restoring optimal health. It’s definitely not new – it’s been around since 1991, so nearly 30 years! 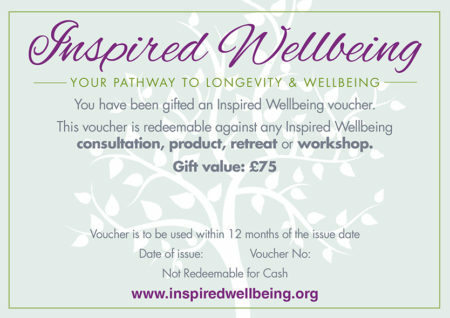 But now there is a growing desire for a better understanding of personalised and integrated health and wellbeing. People are seeking alternatives to a purely pharmaceutical approach. Globally, Functional Medicine is now talked about a lot within alternative healthcare and the momentum is growing at a tremendous rate! The pioneers are Dr Jeffery and Susan Bland in the USA and in the UK, Michael Ash and the Clinical Education Team. They heavily support the growing need for practitioners in Europe. Then there are the medical doctors that are trained and using functional medicine within their practice – Dr Rangan Chattergee & Dr Ayan Panja. What motivated you to go to the Functional Medicine Conference in London? I have been listening and reading about these practitioners and their successes with this method for quite a few years now. Even though my original nutrition training was on a similar path, so it’s not all new to me, this approach is becoming more recognised and supported throughout the western world. I wanted to update/continue my professional training and to feel like I am part of a community of practitioners that genuinely want to help their patients through long-term lifestyle medicine. What also really appealed to me, was training alongside doctors and other practitioners – so it’s about building your team. This movement is becoming increasingly crucial as the NHS just can’t keep running on its original model. What were the key highlights of the conference? For me, the highlights included the insights into gut health and the link this has to absolutely everything! But also the role of mental health within all kinds of sickness throughout the world. This is still not spoken about as much as it should be. The rates of mental illness are growing so fast and especially amongst the young. So, looking for connections and solutions through diet and healing are always a first for me. Also, the importance of meditation for calming the body and mind. This is about moving into the parasympathetic nervous system to bring about internal change. Most of us are aware of the benefits of meditation, but we just don’t have 30 minutes in our day to spare. But this was showing just how much change can be made with just 3 or 5 minutes daily and that this is manageable for everyone. Lastly, how being present with a person can change the energetic connection for a more positive outcome – this can be with your partner, your child or with a patient. Be present at all times – this is what builds trust and helps us connect. What was the most inspirational/surprising-shocking/insightful thing you learnt? The most shocking part was understanding the lack of knowledge from your average GP when it comes to nutrition and the number of drugs that are dished out on a daily basis for diseases that come from our modern lifestyles! The increase of ASD (Autism Spectrum Disorder), anxiety, hormonal and mental health problems aren’t talked about enough and these few are just scratching the surface. The health of our nations is in such decline – we might live longer, but so many people are on not just 1 medication, but maybe 4 or 5 and this impacts on the quality of their overall health from a much younger age now. Inspiration came from the mixed group of over 300 participants! We were from many backgrounds – GP’s, MD’s, Osteopaths, Nutritionists, Chiropractors, Councillors, Homeopaths, Acupuncturists – all looking at the common goal of improving our patient’s health by looking at symptoms and not labeled disease. Insights from the programme included how advancing technologies help us to understand how genes play a vital role in our health. Many companies now offer affordable DNA testing that tells us so much more than just where we came from, including how important lifestyle can be in switching these genes on and off – bringing in the epigenetic factors through food and lifestyle. How will you take away your learnings and integrate them into your work? Being part of the IFM gives me a new toolkit in this systems approach to health. I will be able to use this knowledge to clearly show my clients their symptoms. Also how these impact their health (long and short term) and how this cascades and create other health problems, when not dealt with properly. There have always been many dietary options that I can offer to my clients. But this provides me with additional resources to further support my patients. It helps them understand what we are doing and why certain diets might be implemented for a time. I now have access to lab testing to help diagnose more difficult symptoms and problems. This is another great tool when needing to design a very specific program. All of these methods allow me to integrate a nutritional program to relieve symptoms. For my clients, I believe it is important to create a better understanding of what is happening in their body and how to improve overall health. What would you say to someone who is interested in finding out more? I’m hoping to do much more around this in 2019 – so watch this space! You can also sign up to my blog and newsletters for updates and special offers and follow me on Facebook and Instagram. If you would like to know more about the Institute of Functional Medicine and their education and health model their website is a great place to start.